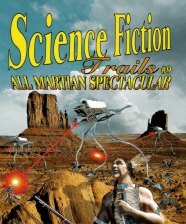 The new issue of Science Fiction Trails is officially releasing Wednesday, but is already up on Amazon. It will be followed soon by a special Martian issue. We have more alternate world stories this time around. We've also got a little steampunk. For those who've been living in a cave, steampunk has kind of turned the world of speculative fiction on its ear. There is now steampunk fashion and even steampunk music. I just filled out the annual participant questionnaire for Mile Hi Con and I was amazed at how many steampunk panels they're considering. I've even heard a rumor they're considering a steampunk tea. To this, I just noticed that Tales of the Talisman seems to be having some trouble finding enough steampunk stories for their magazine, if I interpret editor David Lee Summers' blog correctly. I'm not surprised. There's a lot of interest in it, but I don't see a lot of stories in this area. 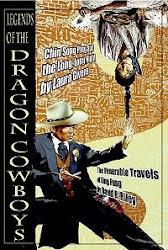 And if I get a good western steampunk story, I'm sure not letting it go to a rival publication. It's a friendly rivalry, but a rivalry nonetheless. Our book division is considering a steampunk anthology next year. That's still in the discussion stage and is not a done deal. Still, steampunk has really proven to be way more than a fad. Not only in science fiction, but even horror is chasing that rare steampunk story right now. So, if you write steampunk, now is your time to shine. 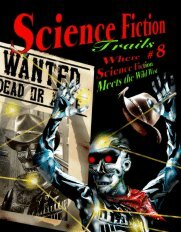 And if you read it, order a copy of Science Fiction Trails 9 and maybe even Tales of the Talisman's steampunk issue. I mean, Science Fiction Trails is better, but their magazine isn't bad. Read on! They say there was a UFO overhead the other day. I didn't see it. There were a bunch of low flying military type aircraft buzzing around. I heard them. I'm not even clear what type it was. I do know that we don't have much air traffic in this area. Even the low flying planes can get people on edge. Down in Denver they have planes everywhere. Around here, that's just not the case. 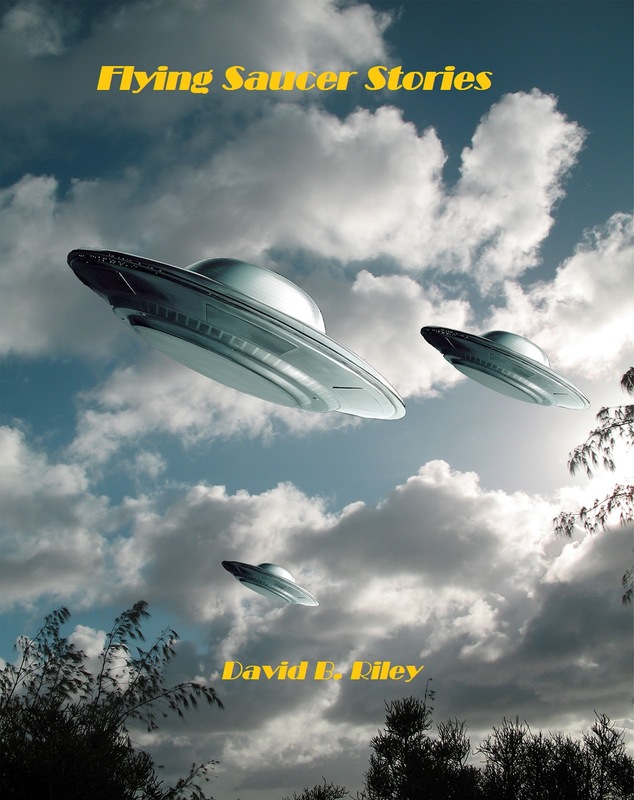 The cover for my book is up here because it's the only saucer picture I have. Otherwise, it has nothing to do with this post. I haven't caught the Olympic fever yet. Frankly, I was disappointed with the opening ceremony. I guess it was too British. Although I was amazed they got the queen to play along with the parachuting in with James Bond. But, for every plus, they've got Rowan Atchinson picking his nose. This just is not what I'd present to a global audience. Over at Science Fiction Trails, where I am publisher, we do the occasional book anthology as well as our ongoing magazine. So far they've all been horror related. As I think back on the stories I've come to wonder about something: I have never had a story submission about a witch or skeletons. Not ever. I would've thought that I would have seen at least one by now. Skeletons are not that common, except in those low budget Sinbad type movies. And witches may not mesh with notions of the wild west. Still, the fact I've never seen one submission along these lines puzzles me a little. Nor have I ever seen a mummy, though there was something sort of similar in one story in Six Guns Straight From Hell. It's just an observation, really. I'm more a fan of ghost stories which are also quite rare. 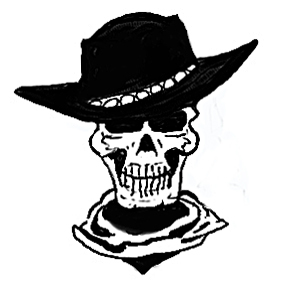 That's what we're working on now, western ghost stories. It's too early to tell how this endeavor will turn out. Stay tuned. Supposedly, some locals saw a UFO yesterday evening. I've never actually seen one. But, I do find myself wondering something. 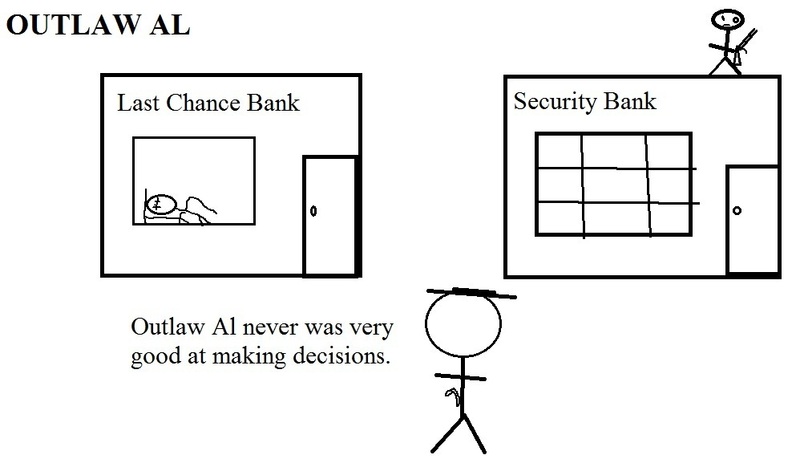 What would I do if I encountered an alien being? Most folks who report such things claim they had little choice in the matter--they were quickly neutralized. So, fight or flee might not be an option. If I was armed and able, would I open fire if the creature had not done anything? Waiting might make it moot. So, I think I would open fire. I guess I dewell on things normal people do not. Today is my birthday. I'm at the point in my life when I am no longer happy to have them. In fact, I would be delighted if I could get through the day without having anyone wish me a happy birthday. Maybe I'll turn my phone off for the entire day. Thing is, I don't think I ever was all that thrilled with birthdays. I only recall one year where my childhood friends were all invited over. That party did not go well. One thing I remember vividly is there were toy party favors and I didn't get any because my mom didn't buy enough of them. And she let some kids come who I didn't like. I really was very angry with her that day. I don't recall ever having another birthday party. My mother never seemed to want to do one after that. Since I never really had much of a celebration, I guess birthdays never really were a big deal for me. People don't really like my cartoons, overall. I debated for some time about putting Outlaw Al in the forthcoming issue of Science Fiction Trails. Ultimately, I decided not to. Did I make the right call? I guess I'll never know. Boy did my blood pressure go up today. I was in some strip mall and some woman backs out of her space right in front of me. And she sits there and grins at me. I told her to move her car. She says I had to move mine. Well, then some uninvolved party comes over and tells me to move my car or he'll back into me with his truck and push me out of the way. Reluctantly, I moved. Though I regretted it immediately. Although I cursed many profanities at both of them, I regret backing down. Two days in a row I've had confrontations with other motorists. What will tomorrow bring? Why do the political parties think anyone wants to watch the unrelenting nonstop obnoxious campaign ads? Please, somebody, make them go away. Note to God: Why did you send us so many politicians? As I've mentioned before, over at Science Fiction Trails, where I am publisher, we're about to come out with a special Martian issue. One thing I thought odd was that I offered a free ad to every contributor in the issue. Only one person took me up on it and submitted an ad. I was rather surprised. I guess I shouldn't have been. That's one of my biggest frustrations as a publisher. Very few of the contributors to our projects, and especially our books, have ever lifted a finger to help promote them. Nada, nothing. I don't just mean that we can't be bothered to send out a press release or do a reading at a bookstore or library. We can't even bother to list the publication on a blog or website. They don't lift a finger. Yet, they are usually the first ones to grumble about the size of their royalty payments. To put it another way, most writers are assholes. There, I said it. I've wanted to say it for years. However, the ad offer was reverse. I wasn't asking them to promote anything I published, but was offering help in promoting books or services that the contributors were involved in. These people had nothing to lose. I even offered to put the ads together for them--a free basic black and white ad and only one person even bothered. Although I found the lack of response baffling, I was not really surprised. Nothing really surprises me anymore. I've been on a ghost kick lately. I've written a few ghost stories and am working on a new ghost story anthology. I never thought much about ghosts until I worked at a haunted hotel. Some of the things that happened back then got me really wondering. Ghosts are one of those things you either believe in or don't. What I find especially troubling is the underlying question of why are they here? That's my problem with many paranormal researchers--they fixate on turning on lights or superficial questions. The "Why are you here?" type questions largely aren't even asked. If I was a ghost, I think I'd spend my days groping young women. However, I would think that would get old after a while. Sitting around some dank, musty old house for hundreds of years haunting some poor hapless family isn't much of an existence. Anyway, I was invited to visit somebody who supposedly has a haunted house. I'll post any happenings next week. I'm even bringing my new camera, if I can figure out how to work it by then. This is a story with the same characters as my vampire novel, The Brotherhood. If you like it, tell your friends. The pasty-faced man in the brown suit and red and gold necktie stood quietly at the rear of the church. He waited for the lingering parishioners to leave the Sunday evening prayer service. Then, he approached the priest. "Father, will you hear my confession?" "Of course," Anthony Myers said. He started for the candle alcove, then hesitated. "Don't take this the wrong way. You have a look about you. Are you Catholic?" "You know I'm not, Father. You know I'm not." "And you want it to be a confession because of the absolute sanctity of it?" the priest asked, already knowing the answer..
"I need absolute sanctity more than I need absolution," he explained. "My soul may be beyond redemption." "I see," the priest said. "You're a vampire then?" "You are not the first. Sit down. Unburden yourself before God's humble servant," Myers invited. "Bless me father." He crossed himself. Anthony Myers thought that odd, but said nothing about it. "What is your name, my son?" "I'm hardly your son. I was born when Augustus Caesar was alive." "Flavious, though I've had many names. Not many guys called Flavious hanging around downtown." The computer dinged. Flavious hurried to the terminal. He had mail. He quickly printed out the order. "Thank God for eBay." Then, he did a double take-they wanted the big ugly blue one. He shrugged, pulled out a Priority Mail box, and dropped in an ugly blue wooden cross with black beads on it. He printed out a label and placed the box on the pile. "No accounting for taste." "You made it." It was Lucien. He looked at the row of crosses and grimaced. Flavious asked "You ever knock?" "You're an idiot." Lucien glanced over the computer screen and slowly shook his head. "You're actually selling crosses online?" Flavious held his hands out under the flickering lantern. "I tell you the burns were there." Jezebel released his hands. "I think this another of your wild stories, brother." She sat back on the bench. "It will be dark soon. We'll go and see." "But I thought you did not believe me?" her brother asked. "I don't. But, with all the other strange things happening lately, we'll go and see just the same," she decided. When they arrived, there was nothing but an empty road. Somehow, Flavious had convinced himself the man wearing the wooden cross would still be there. "It was right here. Fire was coming out of my hands--sparks were everywhere." Jezebel shook her head. "I don't know, little brother. It's very hard to believe." Flavious put his hand over his mouth to try and get his sister to quiet herself. "Someone approaches," he whispered. A short fellow was moseying along as if he had not a care in the world. He wore a gray set of robes that revealed no particular station or household. Flavious reasoned the man was most likely a traveler--yet he carried no pack. He took a considerable leap of logic and told his sister "That man's one of them." Jezebel immediately shot out after the stranger. By the time she reached him, her eyes glowed and her fangs were fully outstretched. Then, before she could even touch him, an invisible force seemed to push her away. Her stomach tightened and her whole being filled with a sense of dread and unease. With all her strength and courage she lunged for the little man. Sparks flew off her hands. Suddenly, there it was before her--a simple wooden cross. Her whole hand felt as if it was on fire. She withdrew and the pain quickly faded. "What are you?" she screamed. The man shrugged. "I was going to ask you the same." Jezebel looked at her swollen hands in disbelief. "This can't be happening." She noticed the man was some distance down the road, running as fast as his stubby legs could carry him. She had no desire to pursue. The throbbing pain was unbelievable. It was a battle not to buckle over from it. "See!" Her brother was next to her. "It's just a cross." She vowed, "I don't know what manner of sorcery did this, little brother. But, sure as Hades, I'm going to find out." It was nearly daybreak when the two of them reached the mountain peak. Being unfamiliar with the area, they'd wandered around for quite some time before they were able to find it. "Why didn't you take to the sky? "a familiar voice asked out of the darkness, from inside the mouth of the cave. She ran forward and embraced the man. "Oh, it's so good to see you. We haven't fed in days. I lack the strength to fly." "Why is that?" He pried himself away and greeted Flavious. "You haven't fed either, I take it?" "That's why we're here. There is a problem, my beloved," Jezebel said. "The sun rises my pet." He held out his wrist. "You need strength." He looked back inside the cave, at one of the women. "Come, refresh young Flavious. And, no doubt, he'll be wanting more than a sip of your blood," he said as he patted her rounded bottom. The sun was still up, though low in the sky when everyone inside the cave began to stir again. Jezebel found Lucien gazing off from the mouth of the cave. "The sun, I can't believe it's still up." "Summer approaches. The dreadful solstice, when our time is taken short from us so the mortals can tend the fields and frolic in the sea." He put his arm around her. "I hate this time of year." "And it gets so blasted hot," Flavious said as he joined them. "Resting is so hard when it's so blasted hot." "So it is." Lucien sat on the rock. "And now, you would tell me this dreadful news of yours?" "It's the most amazing thing," Flavious said, then he shut up. The look from Lucien convinced him he wanted Jezebel to tell the story. When Jezebel had finished, Lucien placed his hands on the back of his head and leaned against the cave wall. "The men who wear these little crosses strung round their necks call themselves Christians. They symbolize the crucifixion of their founder from a few years back. This fellow, Jesus, had certain powers that I can't fully explain. They briefly had a fish shape, then the crosses started appearing." Flavious twisted his neck and stared at Lucien. "You said this fellow has been crucified? Do you mean he's one of us? Can't quite die?" Lucien slid off the rock and stretched. "No, not like us. I suspect these crosses are some sort of talisman supplied to ward our people away. I'm glad you came to me. We shall get to the bottom of this, but first let's find somewhere to feed, somewhere without crosses." The little man scratched his head, trying to catch whatever new parasite had taken up residence on his scalp. He tossed another stick in the fire, then licked his fingers for what last essence remained of the rancid bird he'd found lying dead alongside the road a few hours earlier. He leaned back on the dirt and gazed off into the sky as the last flicker of sunlight gave way to the canopy of night. It was such a lovely night. He knew his serenity would be short-lived. It always was on these nights--some farmer outraged that he'd fondled a daughter, someone incensed over a missing pig. He tried to relax and enjoy the moment. As usual, that was all he had--a moment. He hated these peaceful nights. Something bad always happened. "There's one," a woman screamed a moment later. "Over here." The little man tried to scramble to his feet, but a powerful hand latched onto his left shoulder. "I know you?" he asked as he looked up to see if he really did. "I don't believe so," Lucien said. "Let go of me," the little man protested. "You got no call bothering me here. I didn't do nothing." The grip vanished. Lucien sort of nodded and moved around to stand next to the fire. "You're right my dear, he is one." "One what?" It now occurred to him there were three people in his camp. "What you folks want with me?" "My good fellow," Lucien calmly explained. "We're here to kill you and drink your blood." The little man made it three steps before Flavious grabbed him and picked him up off the ground. "You can't get away from us." Lucien was staring crossly at him. He made a gesture Flavious didn't understand. "Get on with it, Flavious," Lucien commanded. "But?" Flavious stared at the crude wooden cross the little man was wearing. "Get on with it," Lucien again demanded. Reluctantly, Flavious started to reach for the cross with his free hand. Sparks flew off his palm and he winced from the pain. Sensing the distraction, the little man jerked free and headed for the darkness of the bushes. In two steps, Lucien overtook him and he was again dangling in the air. "Where did you get it?" "This object. Where did you get it?" Lucien demanded. He looked down at the crude wooden cross. "It's a crucifix. These fellows gave it to me after they told me about Jesus." Flavious asked. "How can this Jesus do this to us?" "Is there some sort of incantation to make it work?" Lucien asked. "Make it work? It's just a cross." Steam rolled off the spilt blood that trickled from the tall Viking's neck as the red liquid pooled and congealed in the snow. "You let the blood flow from his veins?" Lucien asked. "There's another one just over that hill. I cannot eat any more now," Flavious said. "Yes, I took two." Flavious placed the board on his victim's chest. Then he placed the second on top to form the shape of a cross. He touched the lumber freely. "This, it confuses me." "You are an idiot," Lucien said. Lucien started back toward the home they were renting. "These people still worship Odin and Thor. They've never heard of Jesus. That's why we came here. That's why your cross will not work." "That can't be it. It makes no logic to me," Flavious insisted. When the others had cleared out, Flavious approached Father Albert. "Father, do you wear a cross around your neck?" The young priest looked puzzled. "During services. At social gatherings like tonight, I do not." "Oh." Flavious seemed so disappointed. "I didn't know about Lutherans. Catholics sleep with the blasted things. He grabbed the priest and plunged his fangs into the man's neck. When the priest was dead and his blood consumed, Flavious stretched the cleric's body out on the floor of the town hall. He broke off two boards, arranged them as a cross, then touched the display without incident. "Still at it?" a voice asked. It was Lucien. "What do you mean?" Flavious asked. "You've been obsessed with crosses since your first one. Give it a rest," Lucien said. "But, I make it and nothing happens. If he had one on him, it would be like the aurora in the arctic sky." Flavious kicked one of the boards away. "There would be sparks and pain everywhere." "I've seen your room. You must have a hundred crosses," Lucien said. "And I made each one. If I drop one on a sidewalk, and some chap comes along and picks it up, it will protect him." Lucien shook his head. "Give it a rest. Accept what is." Flavious peered down at the huge pile of lumber. "It's all here?" "Yeah. Will you sign for it?" the truck driver asked. Flavious signed the invoice, then accepted the pink copy. Flavious paced anxiously in the barn, until the Menses brother's truck pulled up an hour late. "Okay, I've gotten the supplies. Build it." "I'd feel better if we had a permit," Joe argued. Flavious grabbed him by the scruff of the neck and lifted him off the ground.. "We've been through this. I'm paying you very well. Build the damn thing." "Better get started then," Joe said. They were finished just after dark. Flavious raced up the hill to inspect it. It was the most perfect cross he'd ever seen. And he was so glad he'd gone for the light colored pine. The massive cross was indeed everything he'd ever dreamed of. He handed Joe Menses a thousand dollars. "Now be back at five A.M. and I'll pay you the rest." Flavious sat quietly on the hillside and waited. Just after five, the Menses brothers returned. "Are you sure you really want to do this?" Joe Menses asked. "Absolutely," Flavious answered. "Let's get on with it. The sun will be up in a few minutes." The men attached him to the cross bar by securing his wrists with chain. Then they hoisted him upward and snapped him into place. "Bet the Romans never had this." "Bet not," Flavious said. "Now pull the burlap away." "How long you gonna stay up there?" Menses asked. "All day. It's Good Friday all day," Flavious said. "All rightee then." Joe pulled hard on the cloth. It fell away from the cross just as it was designed to. Instantly, sparks began to fly off the wood, lots and lots of sparks. "What the?" "Fear not. It is meant to be. Leave me now!" Flavious yelled. A car screeched up. The brothers looked at it, then at their handiwork, then they fled in their truck. "Get down from there!" Father Myers screamed. "Not possible." The sparks almost covered him as if he were a pyrotechnic display. "Even if I wanted to. "The cross won't actually kill you," the priest said. "It doesn't have to." Flavious' gaze was now elsewhere. "Behold." The priest looked back over his shoulder. The first rays of sunlight were slicing through the dawn sky. In minutes, the vampire's flesh was smoking. His ear-piercing screams forced the priest to cover his ears. Then, finally, silence. The vampire crumpled up into a burning ash, which blew away on the morning breeze. Father Myers knelt on the ground. He wondered how many priests had ever tried to pray for a vampire. I recently postulated a theory that fish may actually know lures are lures and they're fully aware of what will happen when they bite them. Our river is so low that you can see them in there looking at you. So, last night, I watched as fish went after the lures after I tossed them in the river. I think there's something to my latest crackpot theory. As an addendum to yesterday's posting, I don't think there is anything more maligned than western sci fi. I guess that's why I publish it. As far as I know, the only regularly publishing western sci fi magazine is mine. These stories do pop up in other places, but there aren't any ones dedicated to the genre. We used to get bashed regularly by reviewers, usually with something to the effect that science fiction must take place in the future. That attack has subsided. But, it's still a tough sell. A lot of writers won't contribute to us. What makes this even more confusing is western horror is much more widely published and there are way more writers interested in that area. Although I don't know of any regular magazines featuring western horror, there are always two or three anthologies a year put out here and there. Of course, SFT puts out western horror anthologies. This has confused some folks, since the magazine doesn't do horror, but all of our books are horror. Future offerings will be under the Timescape imprint to ease the confusion, I hope. I still wish a million people, a tiny percent of the world population, would buy just one of our books or magazines. Coming September 1st. Two issues of Science Fiction Trails are coming. 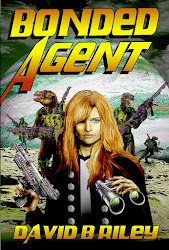 Our regular issue features alternate worlds, alchemy, steampunk and even some dinosaurs. Our special All Martian Spectacular is chock full of Martians. They'll be available through Amazon.com. Bet you can hardly wait. I seem to be reminiscing about my childhood a lot lately. The other day it was fireworks. 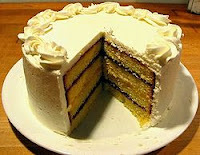 Today, it’s cake. I was probably in the summer between junior and senior year of high school. For some inexplicable reason I decided to bake a cake. Thing was, our mom had always used cake mix. I didn’t have any cake mix. So, I decided to make a scratch cake. I had no recipe. So, I dumped what seemed like a reasonable amount of flour (didn’t have any cake flour) into a bowl, then started adding cake ingredients. Blindly. What seemed like enough banking powder, some eggs, and whatever else we had in the cupboard. I remember I mixed green and yellow food color to get a florescent sort of green. Into the oven it went. Well, it baked for a while, then I took it out. I remember it was lopsided and kind of looked like a giant green lopsided sponge. And that’s kind of what it tasted like. I realized this was no ordinary cake. I couldn’t get my brother to eat it. Then I ripped off a hunk and tried to get the birds to try it. The birds would have nothing to do with it. (The wild birds hanging out in the yard, not some caged creature). Then, I took the tray outside and sat on a bench and tore off another hunk and offered it to Tex, our beagle. Well, he spat it out and ran away. As I sat there contemplating which neighbor’s yard to toss it into, Tex returned and grabbed the cake and ran off with it. He then proceeded to bury it in the corner of the yard. Darnedest thing. The dog was clearly smarter than I was. That was the day Tex saved the world. I don’t even remember what flavor it was supposed to be. But I do remember that cake. It didn't look like this one. This story is from the Vail Daily. This is my condo complex. Black bears aren't always black, but they all eat up to 20,000 calories a day. Wildlife officials urge people in bear country to be careful and keep food away from bears. EDWARDS, Colorado — Andy Wallace spent a few minutes Monday morning not at the top of the food chain in his own kitchen. Wallace was working at his kitchen table with his laptop open and his cell phone beside it, when he dashed upstairs for a few moments. He was alone at his home at The Reserve when he headed up the stairs, but not when he came back down. “I heard a noise in the kitchen and thought one of the kids had come back,” Wallace said. He walked to the top of the stairs and came to a quick realization: Unless the child had tripled in size and grown fur from head to foot, Wallace was looking at a black bear in his kitchen, not his beloved offspring. They don't have a home phone, only cell phones, and his was on the kitchen table uncomfortably close to the bear. There was no way to call for help, so he just waited. Still, they were Paradise Bakery muffins, almost worth fighting for. But the bear was about waist height, about 175-200 pounds. “Big enough to scare me,” Wallace said. Wallace stood at the top of the stairs and watched, finally easing down the steps. The startled bear made a circuit through the kitchen and left through the door from whence it came. It did not eat the muffins. Meanwhile, the watch dog was watching the inside of her eyelids. “The dog was asleep on the couch the whole time. Once she woke up, 30 minutes later, and smelled that something had been in the house she went crazy. Of course, it's too late to do anything about it then,” Wallace said. People were out and about, working in their yards and wandering the neighborhood. He was just cruising around the neighborhood. He wasn't overly concerned about anything. They've had bears in the yard and the garage, but this was a first. The Indians used to call gold the yellow metal that makes white men crazy. Well, you sure would have to be crazy to buy gold coins on the Internet. 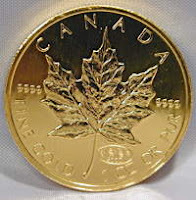 Looking at eBay, I noticed quite a few 1/4 ounce gold coins being offered for what a half ounce coin is going for at coin and pawn shops. And one of them was only about $100 shy of the price for a one ounce coin--that's almost four times over what they should be charging. I'm not really looking for a gold coin. I was just curious what they're going for and was flabbergasted. Of course you can ask for any price. That doesn't mean you'll get it. They've cancelled most of the fireworks displays around Colorado. With the state doing its best impersonation of Dante's Inferno, it's hard to fault that. Still, buying fireworks is a potent childhood memory--especially when I was in my teen years and able to hop on BART and get around on my own. Growing up in California, we used to go across the bay to San Francisco. There, in Chinatown, you could easily buy just about anything you wanted. 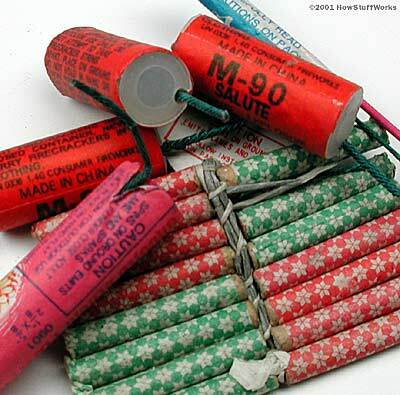 On almost any streetcorner, some guy would ask "firecracker?" and you could reply, "bottle rocket." and then he would likey say something like "guy in red shirt, next block." Then you go to the next block, discuss the price and some little kid would come running up with a paper bag full of bottle rockets. 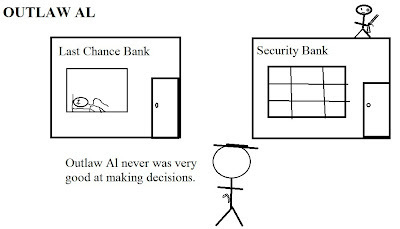 It was a remarkbly simple transaction. If you wanted something like barrel bombs, which are even more illegal and much more powerful, they could be had, although you usually had to go to some third guy to obtain them. And then pick up a bowl of hot and sour soup, hop back on BART and that was that. 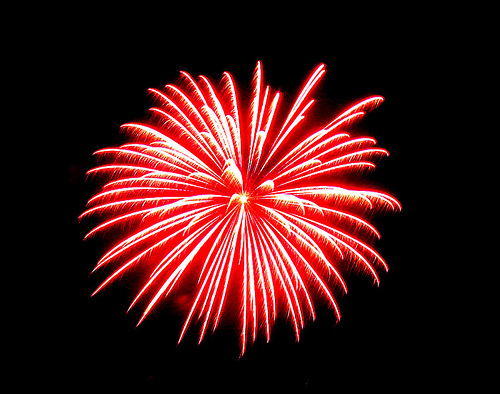 Although the real fireworks were illegal, every fourth roared with exploding skyrockets and the rat-tat-tat of firecrackers going off. My favorites were the bottle rockets. They only cost a little more than firecrackers, yet they flew. A tremendous value. And, the biggest lesson learned from all of this--the illegal fireworks purchased from the friendly and efficiant Chinese gangs were actually cheaper than the safe and sane fireworks sold legally by price gougers operating in the name of some dubious nonprofit organization.